I cannot recommend Dr. Moore - primarily because over the several months we've had my son seeing her, we've experienced noshows, late shows, or last minute reschedules when we were standing at her door. She does not ever confirm appointments scheduled on ZocDoc (they are left in pending status), even if you schedule over a week in advance. She does offer weekend appointments, which is great for a busy adolescent. But that doesn't go very far if she doesn't show up and doesn't communicate. We will be looking for a new provider. I cannot recommend Dr. Moore - primarily because over the several months we've had my son seeing her, we've experienced no shows, late shows, or last minute reschedules when we werestanding at her door. She does not ever confirm appointments scheduled on ZocDoc (they are left in pending status), even if you schedule over a week in advance. She does offer weekend appointments, which is great for a busy adolescent. But that doesn't go very far if she doesn't show up and doesn't communicate. We will be looking for a new provider. It was wonderful that we could get in to see her so quickly. She was efficient and gentle in her approach. 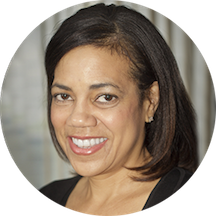 Dr. Bethanne Moore graduated from Yale School of Medicine in 1986. Dr. Moore has one office in Maryland where she specializes in Adult Psychiatry and Child Psychiatry As an adult psychiatrist in Chevy Chase, Dr. Bethanne Moore cares for the mental well-being of adult patients, treating conditions like depression and anxiety. Very good practical suggestions. Caring personality. Thank you Dr. Moore. As always you were very helpful. Extremely professional and knowledgeable. I'd highly recommend. I felt very comfortable with Dr. Moore. She doesn't take insurance and she is expensive; however, that seems to be the case with all the best mental health professionals. I like the fact that she is a real therapist.